Since my last post, I’ve battled a retched cold and come through the victor. Despite my sniffly, sneezy state, I was not neglectful in my Miss Hallie Erminie Rives research homework. What can I say? I love a good mystery. This is good considering, among other things, Miss Rives was a renowned mystery writer of her day. I’ve scraped together an outline biography from a handful of New York Times newspaper clippings. Thank God for the Internet and some dear librarian’s deft scanner; otherwise, I wonder if Hallie’s hard-earned standing as a lauded female author would be virtually lost outside of the antique copies drifting through used bookstores. It’s a reminder to me of how far we’ve come and yet, how little has changed. Certainly, technology makes it easier to time capsule our current life, society and literature more effectively as compared to our predecessors; yet, when we stumble upon the historical threads of those long passed peoples, we see such striking similarities to ourselves that it functions as a metaphorical mirror reflecting parallel generations. It’s a bit creepy and at the same time, inspirational to know how close in ties we are to those before us… how close our ties will be to those a hundred years in the future. All this from a book picked up at a dusty bookshop tucked away in the Katrina-ravaged French Quarter of New Orleans. I’m surprised the book wasn’t lost for all time in the floods! As I said in my last post: It’s positively providential. I’m still in the process of researching Miss Rives… oh, excuse me, Miss Hallie Erminie Rives Wheeler. She married Mr. Post Wheeler, a fellow writer and American diplomat, on December 29, 1906 in Tokyo. Yes, Japan! This woman had such a fascinating life. It reads like a novel all its own! I won’t dangle the carrot in front of you any longer. Here’s what I’ve discovered thus far, though I get the inkling I’m just scratching the surface. 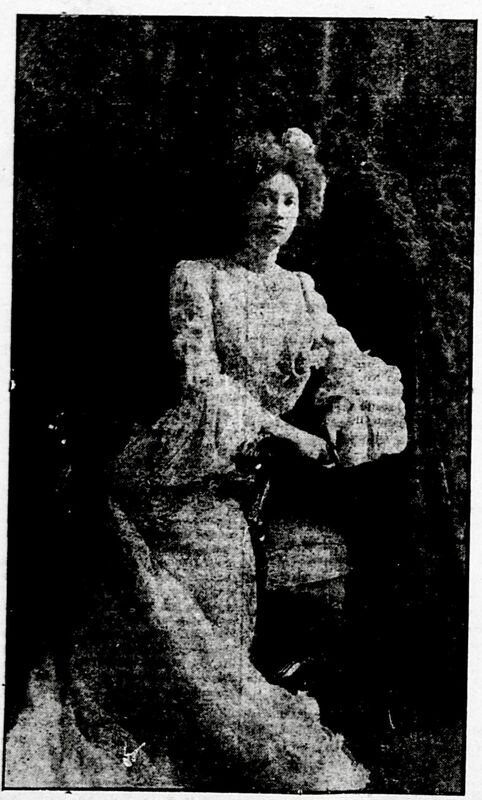 As I commented on, she married George Post Wheeler in 1906. 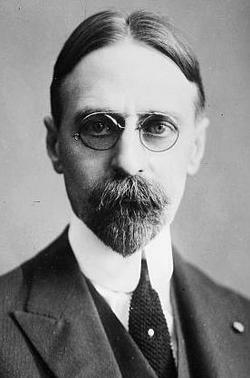 The earliest documentation I’ve found regarding his diplomacy is that he was the Secretary of the American Embassy at Rome, Italy, when they wed; the U.S. Minister to Paraguay from 1929-1933 and to Albania 1933-1934. He was a fellow writer—a poet, children’s book author, and novelist—and interestingly, a Freemason. I’ve not discovered whether or not they had any children. There has been no mention of any in the newspapers. However, I believe it was poor etiquette to talk babies publicly in the early 1900s. (That is one area where customs have changed dramatically.) They could have had a Rives-Wheeler baseball team at home for all I know. I’ll keep digging to find a concrete answer to that question. Hallie’s death is interesting to me, too. She and Post died the same year: 1956. While I have yet to determine his exact date of death, Hallie passed away on August 16 in New York City. I can’t help but romantically wonder: Who died first and of what? And did the other die of heartbrokenness? After all, they’d been together for exactly fifty years. They are buried together at Riverside Cemetery in Hopkinsville, Kentucky. Bibliography: Rives’ debut book was a novella and stories entitled The Singing Wire and Other Stories published in 1892. This was followed by the novels A Fool In Spots (1894); Smoking Flax (1897); As The Hart Panteth (1898); A Furnace of Earth (1900); Hearts Courageous (1902); The Castaway (1904); Tales From Dickens (1905); Satan Sanderson (1907); The Kingdom of The Slender Swords (1910); Valiants of Virginia (1912); The complete Book of Etiquette (1926); and The John Book (1947). What a character! To read her quotes makes me feel I can almost hear her voice, clear as a bell. This is what I have so far, but rest assured, Miss Rives holds my imagination CAPTIVE. I have a signed copy of “A Furnace of Earth”, by Miss Hallie Erminie Rives. I was researching to find it’s value and came upon your article. My mother was a Rives and I have collected, over the years, several copies of Hallie’s books. Most of them are dense, turgid and unreadable, but quite a window into victorian american novels. Your mother was a Rives? What relation was she to the authoress? Oh, what I wouldn’t give to pick your brain for a few! I am fascinated by Miss Hallie Erminie Rives. She was so prominent in her time and yet in 2010, we can barely cobble together her history and bibliography. I wish I could know more of her personal story. If you have any further information on her, I’d love to hear it! Feel free to email me at sarah@sarahmccoy.com and we can correspond off the blog. Found your blog whilst researching Miss Rives literary output. A while ago I came upon a beautiful detailed original pencil portrait of her dated 1906 done by wildlife artist Herman Rountree and inscribed to her. Since he was 28 and she 32 at the time of the portrait, I like to imagine he was greatly enamoured of her and presented this to her in admiration. Any connection you know of? You have a real treasure in your hands! I’d love to see this portrait. Do you have an electronic photo or copy of it? If so, I’d love to see it (email: sarah@sarahmccoy.com). While I don’t personally know of any connection between the artist Herman Roundtree and the author Hallie E. Rives, you’ve sparked a great deal of curiosity from readers. Hopefully one of them might be able to answer your question. Wouldn’t it be a delight to imagine that they had an affaire de coeur! I am researching Herman Rountree, whom I think was a friend of my grandparents. I own a wonderful drawing he did which belonged to my father. Wondered what his relationship was to Miss Rives? Did you know of any, in response to Andrew Dangelas’s inquiry? Andrew, would you mind posting a picture of the portrait of Miss Rives? It sounds fascinating. I’m curious to see what a wildlife artist does with a portrait and the surrounding detail he would have put in. My maternal grandmother, Lula (Mary E) Rives Carr was a second cousin once removed from Hallie Ermine Rives. My grandmother was born in Hopkinsville, Kentucky. I have the book, The Dome of Many Colored Glass, which my mother purchased after an elderly man, who was also related to Hallie came to visit us in Seattle. I have recently figured out the connection with the help of ancestry.com. By mother was a Carr and my father a Buell. Thank you SO much for all of your information and hard work!!! I was first aware of Hallie by my mother, Loretta Maxine McKissick. My beloved grandmother, Clara Elizabeth(Hayes)McKissick’s father was Walter Austin Hayes, whose great-grandparents were Ann Nancy Rives and Jones Mabry. I have felt this amazing kinship with Hallie since my mother told me about her. I loved the fact that she was considered a “wildcat” in her younger years! It’s funny how someone so removed in lineage can move something in your soul! I’ve collected several of her books and I have to say, ” The Dome of Many Colored Glass” has to be my favorite. I’ll be watching for any other updates…..
P.S. 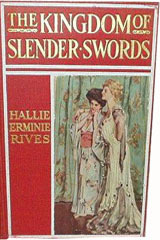 Hallie was also a distant cousin of Amélie Rives, another novelist and poet. #BooktopiaCA– Santa Cruz here I come!